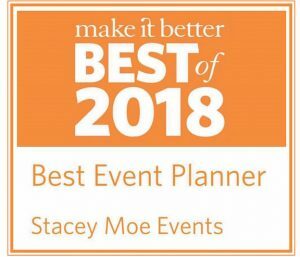 We are so honored to receive the award for The Best Event Planner on the North Shore/Chicago by Make It Better Magazine’s Best of 2018! We are grateful for the clients who trusted us to create and execute their events when we were just starting out. A special thank you goes out to the caterers, rental companies, entertainers, creative décor houses and other vendors that have supported us. We couldn’t have earned this award without them! For more applause visit our Yelp profile.